We have a running joke that in order to fire up our Internet we have to put the hamster on his wheel. It's so bad that JP and my dad head out one night a week to use the free wi-fi at Starbucks. I know, I know. It's definitely a "first world problem," but it certainly puts a crimp in our blogging plans. We have several stories coming, but here's a little recap of the last 13 weeks. JP is back at work now and I head back on Monday. We really did have a ton of fun being together as a family. What a great gift! Hot Air Balloon Festival in Ripon. Santa Cruz County Fair to watch cousin Natalie show her pig. Quick trip to Monterey for dinner at El Torito (the best picture we could get of two tired boys.) Sad. 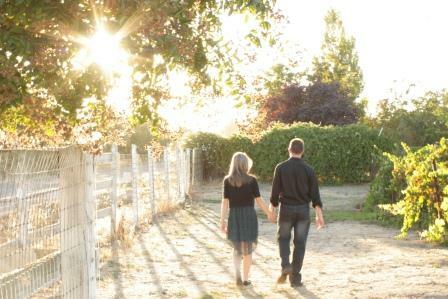 Engagement photo shoot and wedding planning fun for one of my best girls and oldest friends. Having favorite friends move close enough to visit and feed horses together. Harvest 2012 - not quite what we expected. Friends visiting from San Diego for a long weekend = built in playmates for LJ. He still talks about them! Lots of pumpkin fun from Apple Hill to Michael David Winery and everywhere in between. Many trips to Nonni and Papa's house in Lafayette and swimming practice. Not nearly enough naps...for any of us. Lots of work in the yard. A semi-spontaneous trip to Disneyland for LJ's birthday. I think it blew both of their minds. Family photo shoots and visits from the Colorado contigent of our crew. Finishing the fanciest chicken coop in San Joaquin county and JP's turkey "processing" adventures. Not to mention countless outings, a couple birthday parties and lots of organizing, closet purging, books read, hugs and kisses given and lots of laughter. I know these things don't end just because we're back to our Monday-Friday, 8 to 5 routines, but I constantly felt like we were racing the clock to squeeze in as much fun as possible. Mission accomplished! Thanks for reading! Hopefully we'll be back again soon! HORRAY!! love all of these things!